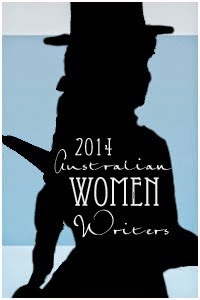 If you've never heard of the Australian Women Writers Challenge, then you have probably been living under a rock. (You know, or you don't spend as much time on the internet as I do...) Started a few years back in response to the shocking lack of media/ review coverage for books written by Australian Women, the challenge has attracted the attention of readers, bloggers and writers alike, and is well and truly answering the call to fix this imbalance. I think this is the second year I have participated in the challenge, and I have definitely been slower off the rank this year than I was last year. While the majority of the books I read are by women, as my Honours project (on Western Australian Creative Writing) fades into the background, my interests have begun to take me to places I can only imagine; places like Nigeria and Mexico. Every time I do sit down to read a book by an Australian woman, I am reminded of why I love this country... more specifically, why I love the interior landscape of it's literature. More so than with any other body of literature, I feel like Australian literature is talking to me. It's not too late to sign up for the challenge if you were thinking of doing so. In the meantime, here's a list of links to all the books I have reviewed for the challenge so far.